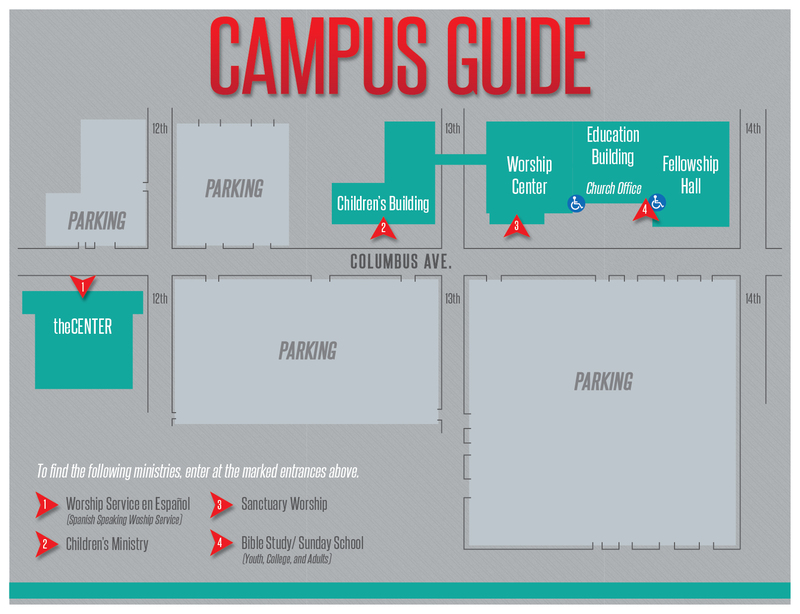 Map of our campus and parking lots. Located at 1300 Columbus Avenue. 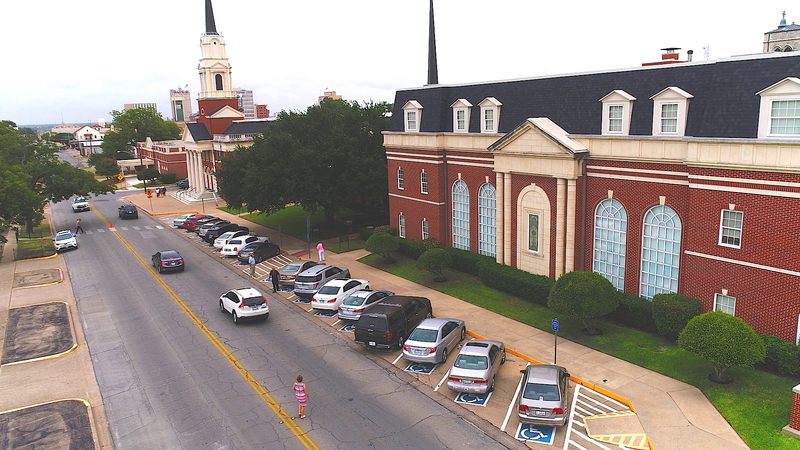 It is home to our Sanctuary, renovated from 1996-1998 (holds up to 1400), our Chapel (holds up to 175), our Fellowship Hall/Conference Center, our main Church Office, and our main educational space. Built in May of 1984, the Children's Building is located at 1218 Columbus Avenue. It offers two floors of educational space for preschool and children, and is home to the Columbus Avenue Child Development Center. Purchased in July of 1993, theCENTER was renovated from 1996-2000 and dedicated in April of 2000. 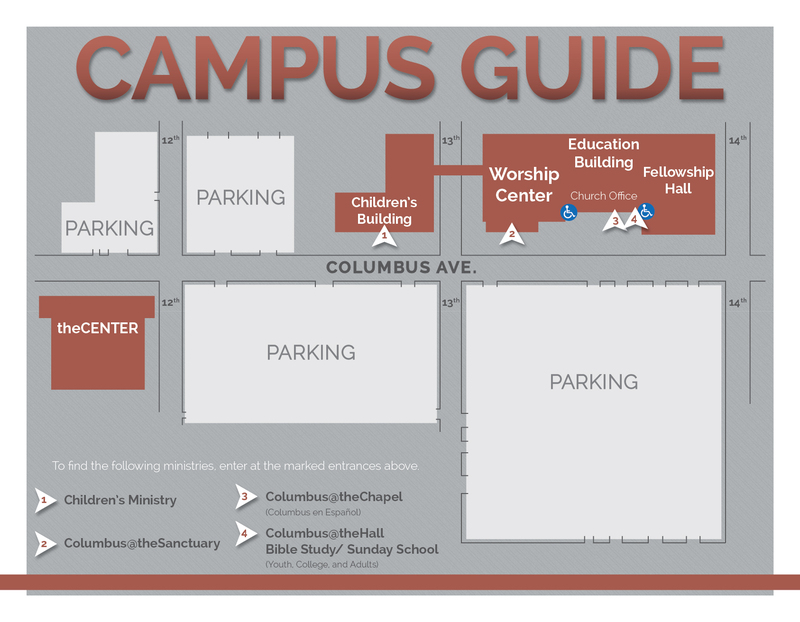 Located at 1115 Columbus Avenue, it features a heated indoor pool, weight room, game room, aerobics hall, basketball court, racket ball courts, atrium, food court, fourth floor retreat, indoor track, cardio floor, and plenty of meeting space.